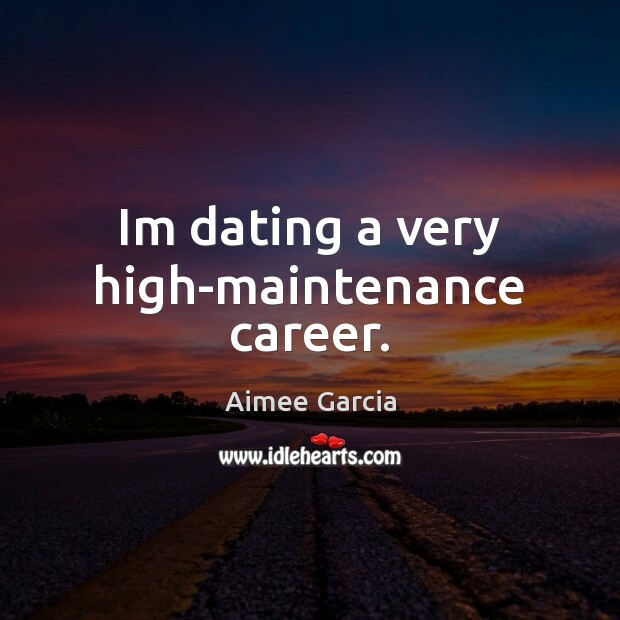 Enjoy the best inspirational, motivational, positive, funny and famous quotes by Aimee Garcia. Use words and picture quotations to push forward and inspire you keep going in life! Im dating a very high-maintenance career. Comedy is more difficult than drama. I think it's really difficult to make someone laugh because people have very different comedic sensibilities. In drama, you can get away with being a great actor and surrounded by great actors and having good writing. 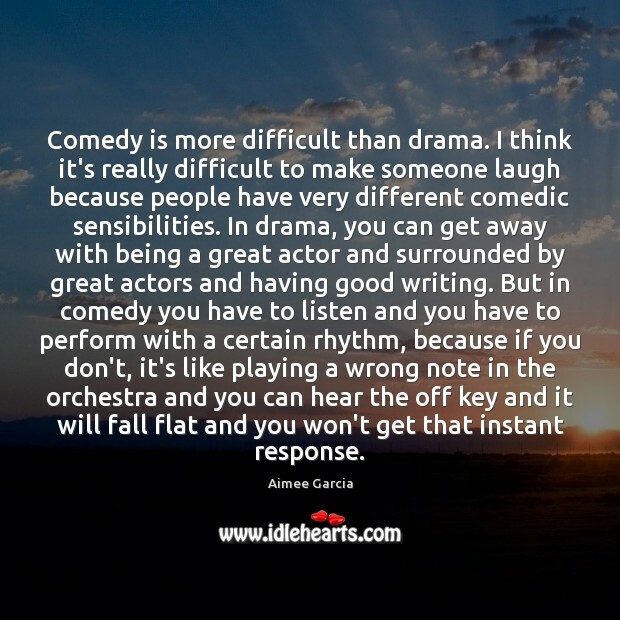 But in comedy you have to listen and you have to perform with a certain rhythm, because if you don't, it's like playing a wrong note in the orchestra and you can hear the off key and it will fall flat and you won't get that instant response.